Completing your continuing education by your December 31st, 2015 deadline has never been easier. We have compiled the best courses for Michigan Real Estate agents to help you not only renew your license but to learn the latest in real estate market trends so you can be successful. This package includes 12 elective hours and 2 legal update hours of the 18 total CE hours required for active license renewals in Michigan. 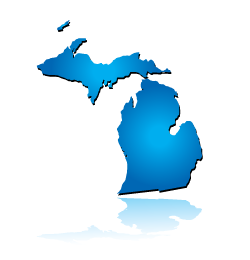 This package includes 12 elective hours of the 18 total CE hours required for active license renewals in Michigan. Get all of your elective hours for the current three year continuing education renewal period out of the way! This package consists of the 12 hours of continuing education electives required by the Michigan Board of Real Estate Brokers and Salespersons. Principles of Commercial Real Estate (4 Hours): This course provides an overview of real estate financing, and describes the different types of loans and loan programs as well as lending sources. Prequalifying your Buyer in Today's Market (4 Hours): A high-level view of commercial real estate, this elective course examines various types of commercial real estate including retail space, storage facilities, and office space. Short Sales and Foreclosures (4 Hours): This course is an overview of short sale transactions, alternatives to short sales, how short sales affect buyers, lenders and sellers, the Home Affordable Modification Program (both HAMP Tier 1 and 2 are included) and the Home Affordable Foreclosure Alternative (HAFA II/Short Sale). n overview of fraud and its impact on the real estate industry. This is a mandatory 2-hour CE course is created to meet a legal update requirement in Michigan. The course must cover law, rules, and court cases involving real estate short sales and foreclosures. This course covers short sale basics and alternatives, working with short sale buyers and sellers, short sale regulations, foreclosures and REO properties and information for licensees regarding short sales. Licensees will learn the benefits of the National Flood Insurance Program and understand that it is a voluntary program based on a mutual agreement between the federal government and the local community. In exchange for adopting and enforcing a floodplain management ordinance in compliance with federal and state laws, federally backed flood insurance is made available to property owners throughout the community. This course also brings an understanding of how to read flood maps which delineate the boundaries of flood areas. Nearly 25 percent of all flood claims filed are for structures located within moderate and minimal risk areas, so it is important to thoroughly understand how to determine potential hazards. The Multiple Listing Service (MLS) is the most powerful tool that you, as a real estate professional, have at your disposal. Potential buyers, in addition to other real estate professionals, can view your listings through a multitude of websites. How you use the MLS communicates your level of professionalism and attracts people to your properties. From the time your buyers sign their purchase agreements, to the time they finally get the keys to their new home, the mortgage process can be filled with anxiety, frustration, and uncertainty. Through your understanding of the process, you will be able to provide your clients with a road map through the maze. Many of the tools and methodologies used by commercial appraisers can also be used by licensees to help their clients determine value when buying, selling or comparing commercial real estate. While a valuation prepared by a real estate licensee will never take the place of a formal appraisal, it is important for licensees to understand the definitions of value used by appraisers, the methodologies used, the three approaches to value, and how value of commercial properties is determined. It is also important for licensees to be able to read and extract information from a professional appraisal report. The six main categories of commercial properties, and their specific challenges and opportunities for investors. A definition of transit-oriented communities, and why they are a growing type of mixed-use development. How zoning, building codes, title issues and the Americans with Disabilities Act impact commercial property development and investment potential. How licensees can use financial analysis and individual investor profiles to assist clients in analyzing commercial properties for purchase and sale.